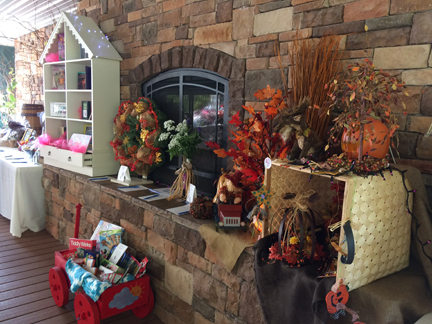 Our Lady’s Inn (OLI) held their annual Luncheon for Life Sept. 20 at Defiance Ridge Vineyards. 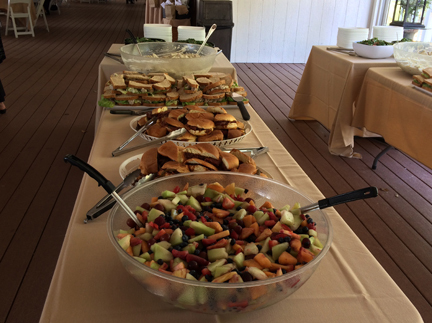 The event featured a delicious lunch, an amazing silent auction, raffles and lots of fun. Each year, Our Lady’s Inn recognizes an Inn-credible partner who has helped support their mission. 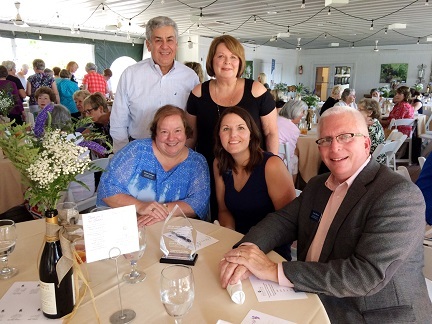 This year’s Inn-credible partner was the Community Council of St. Charles County – a membership organization that collaborates efforts to improve human services in St. Charles, Lincoln and Warren Counties. It’s mission is to “be the catalyst that brings people, organizations and resources together to build a stronger, healthier, more compassionate community.” Through their “Coordinated Entry” program, they help the homeless connect with available resources, such as emergency shelters, low-income housing, etc. Bob Garagiola-Community Council (CC) Treasurer, and OLI Executive Director Peggy Forrest. Elizabeth Modesitt, CC Board Chair, and CC Executive Director, Todd Barnes. 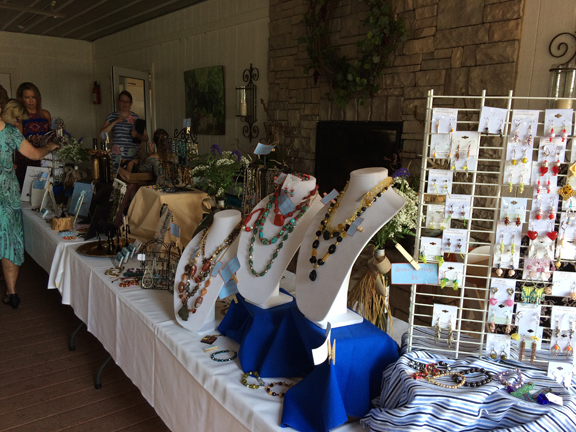 Pay if Forward Jewelry made by residents at Our Lady's Inn. 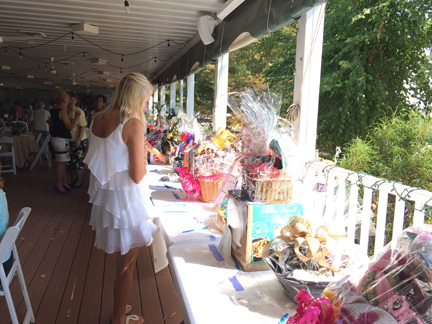 Some of the amazing auction items. 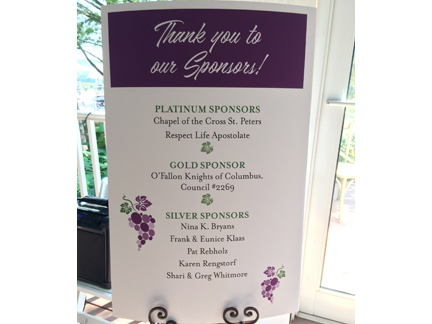 This year's Platinum, Gold and Silver Sponsors.